Is Your Foam Mattress Causing You to Sweat and Overheat at Night? A year ago I purchased a nice, soft, comfy and ridiculously expensive new mattress that had “memory foam” built into the product. Boy, I wish I hadn’t made that purchase! You’ve probably heard of these mattresses before, they provide support where it’s needed but also mould around the body. The heaviest parts of the body sink into the foam, which then bounces back into shape when you leave the bed. I must say, at first I was impressed by the mattress, it was undoubtedly more comfortable than any spring or coil-based mattress that I’ve ever owned. Yet, one year later I’m throwing out my memory foam mattress and buying a traditional non-foam one. Keep reading to find out why I have come to hate memory foam and why I would never repurchase one. If you’re one of those people who always feels cold, even when it’s warm outside, then a foam mattress is probably for you. If however, you suffer from sweating at night, even when it’s mild outside, then do not buy a memory foam mattress. 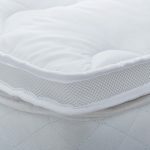 I’ll explain why a foam mattress causes you to overheat, what you can do to reduce your nighttime temperature and ultimately why I ditched my mattress for a new non-foam product. If you want a good night’s sleep without excessive sweating at night or overheating, you must remember that your bed needs to breathe. The human body can create a tremendous amount of heat at night, and that must go somewhere. The perfect mattress is one that not only provides support but also allows air to flow unhindered underneath the body. This is where many foam mattresses fail. 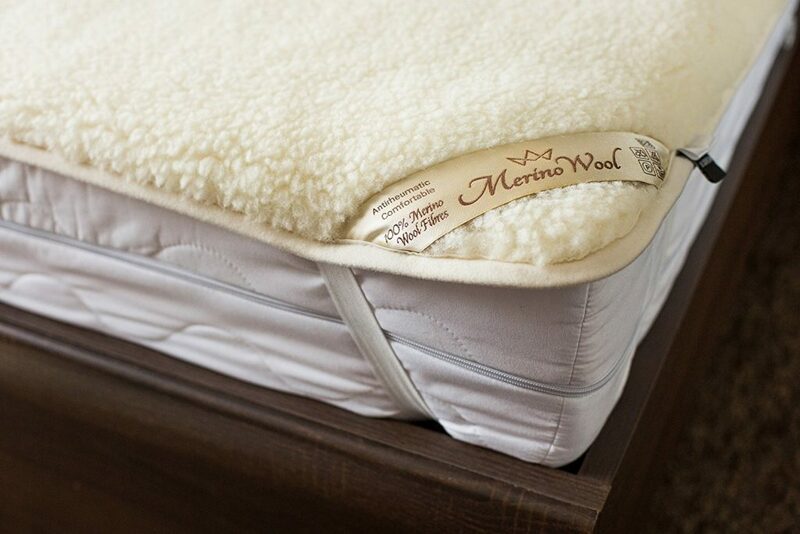 The foam is so dense that it significantly reduces the breathability of the mattress. This is what causes you to sweat at night. Just go and search Google for “foam mattress sweating” or “foam mattress hot” and you’ll find thousands of complaints. These products lay on top of the mattress and create a layer of breathable material between your body and the dense man-made foam. Any type of protector will help but wool, or preferably Merino wool, would be best. Merino wool is often used in arctic clothing as it allows the body to breathe so reduces sweating while keeping the wearer at a comfortable temperature. I’ve had moderate success with this product, it did reduce my night sweating, not entirely, but it did help. Solid bed bases block the airflow under the bed. Combined with a non-breathable dense foam product, you’re just asking for trouble. If you can swap your solid bed frame for one with slats that permit an airflow, this may help. Sticking with the principle that an airflow under the bed can help to reduce your sweating at night, clear out boxes or possessions you’ve got stored under the bed. I had several suitcases and plastic boxes full of clothes under my bed and removing them helped. While you may be thinking this is a waste of time, it won’t cost you anything and takes only a few minutes of your time, so give it a try. This suggestion is kinda obvious but often overlooked. 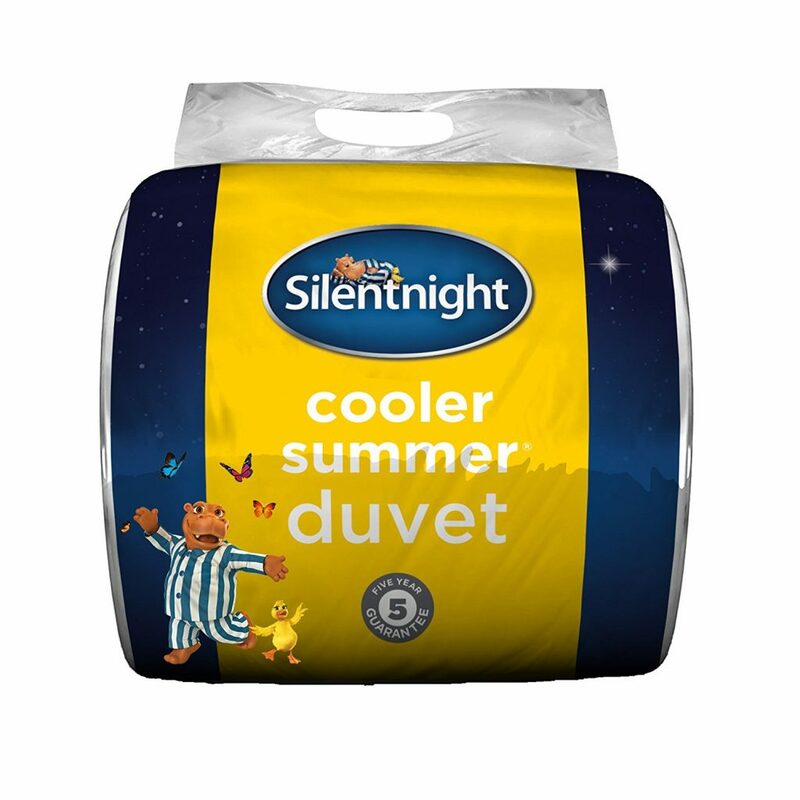 My duvet was a 12.5tog product that’s suitable for all four seasons. I purchased a summer duvet at 4.5tog and obviously, this helped. I still found I was sweating on my back or any part of the body that was in contact with the foam mattress. 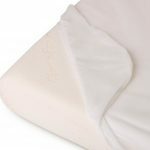 The Expert Reviews website has created a nice write-up on the different types of duvets, both in terms of tog ratings and also fillings. I hate to admit it, but my foam mattress defeated me. I lost the sweat battle, and even after trying the topper, increasing the airflow around the bed and purchasing various summer duvets, I was still occasionally waking up in the middle of the night to a sopping wet mattress. The products and ideas I’ve suggested on this page did help, but it wasn’t enough to solve the problem entirely. I should point out that I was foolish when buying a foam mattress. I’ve always been a hot and sweaty person, even the slightest exercise and pearls of sweat would appear on my forehead. Also, when wearing loose clothing, I’m hot and sweaty, even when it’s mild outside. I’m the last person that should have purchased a foam mattress, but like most people, I didn’t think I could get that hot and uncomfortable with one. Are you one of those people that suffer from night sweats and overheating in general? Don’t buy a foam mattress if you are. Already got one? I think you should get rid of it and try a traditional mattress instead. If your body temperature is normal, you may suffer from sweating at night if you buy a foam mattress. This could be relieved by using a topper, increasing the airflow around the bed and using a lightweight duvet. If you suffer from feeling cold all the time and frequently use hot water bottles in bed, even when it’s warm outside, try a foam mattress. I have a friend who loves hers, but she has always suffered from cold hands and feet. There are many reasons why some people sweat more than others. This guide isn’t meant to replace medical advice; it’s just based on my experiences with a memory foam mattress that is, thankfully now gone.